A fast moving production co. The team behind Screenology have set out to establish an exciting, progressive organisation immersed in the future of filmmaking. 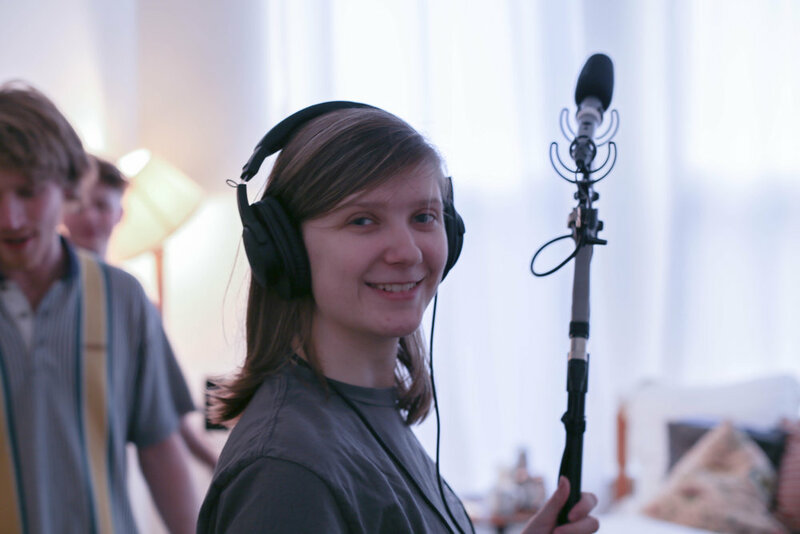 Currently based in Bristol (opening in London in 2020)), we offer an incredible 3 year degree and a hub of activity for emerging filmmakers. Our degree programme has been established in partnership with the small, but fabulous, Plymouth Marjon University. We've chosen to partner with Marjon because their team supports our desire to create an incredibly hands-on programme. 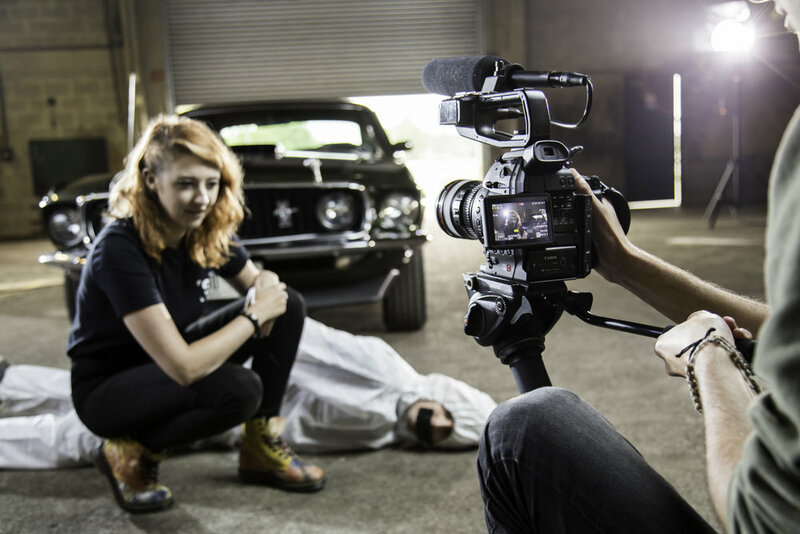 This is a course that will not leave a trail of disappointed fantasies of striking gold in Hollywood, but rather an education that will lead to work… real work, and a genuine career as a filmmaker in the 21st century! We have recently launched Screenology Studios, which aims to be the world's first Lean Film Studio. We make a diversity of features, TV programmes, web series, documentaries and other digital film content using a range of the very latest technologies, and our unique processes to make quality content fast, and inexpensively. Marking the start of the year 2017, we set ourselves an ambitious project - to make a Community Feature Film with 100 actors, 100 scenes all in 100 days and with no budget! Made in partnership with the Theatre Royal Bath, TNIW is a 55 minute film exploring a range of Shakespeare’s female characters; Here, they had the opportunity to have the final say, in a contemporary coda to their original story. Screenology works in partnership with dBs Music, who have been providing world-class music production training to degree/masters level for 20 years. With facilities in Bristol, Plymouth, Cornwall and Berlin, dBs Music has an established reputation for delivering hands-on, relevant and engaging education to thousands of students. For more about dBs Music please watch this video, or take a look at their website. Studying at Screenology also gives you the opportunity to join one of the most exciting commercial production companies in the UK. The Screenology Go team produce a wide range of content for organisations, charities, businesses and individuals. Uniquely, the Go team most often aim to ship the finished content on the same day of shooting, where possible. If you're looking for a thrilling education in film and video production please contact us. We will send you a copy of our prospectus, and follow up via email with some more information. Book a slot on our next visit day and meet the Screenology Community! You will also get a tour around our facilities and learn more about the programme.